Every week, I perform a free Adwords audit to help a small business in Perth. Today I’m helping a chiropractor called Young Chiropractic. 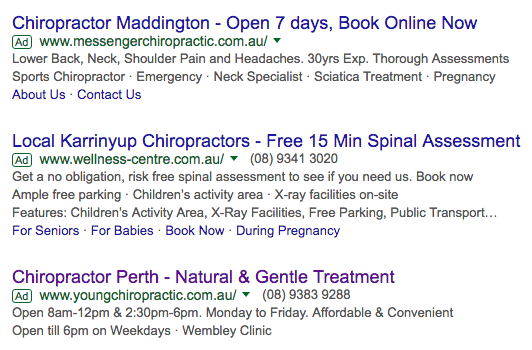 So what can Young Chiropractic do to improve their Adwords campaigns? The first thing to review is whether the objective of Young Chiropractic’s ad is clear. In the case of someone searching for chiropractor prices, I would say their main objective is to see information about how much the chiro charges and then to book an appointment. In Young Chiropractic’s ad they do not mention the word prices. In the description there is a reference to them being affordable. When you click through to the landing page there is no obvious information about pricing. The landing page does have a clickable phone number in the top right hand corner which is good but I think they are missing the mark by not having a call to action to book an appointment within the above the fold content. 1) I think there is a lot Young Chiropractic can do to improve. The next thing to review is whether Young Chiropractic’s ads have been written effectively. Based on the above I believe Young Chiropractic can make their ads more relevant and include more benefits in their copy. 3) Based on the above it’s clear that Young Chiropractic are using their homepage as the main landing page for their adwords ads. By creating specific pages they will improve their CTR’s, quality score and lower the cost they pay per click. I hope you’ve found this free Adwords audit insightful. 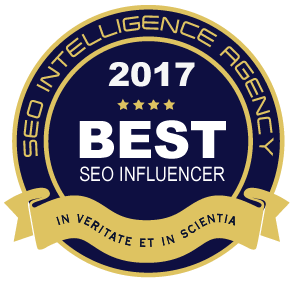 If you’d like to work with an Adwords Freelance Consultant rather than one of the agencies please contact me here.